Is there any other way to explore the marvels and the rich cultural heritage of India than in style, this is exactly what the Maharaja Express has to offer. The maharaja express is one is one of the most luxurious trains on offer by the Indian Railways and the Indian Tourism Department. It happens to be the most expensive as well. Think of it as the “Orient Express of Europe”. As a matter of fact, it was voted in the top 25 trains of the world by the “Society of International Railway Travellers”. Indeed, it has the best onboard accommodation and dining facilities, off-train excursion programs fit for a king hence the name “Maharaja”. 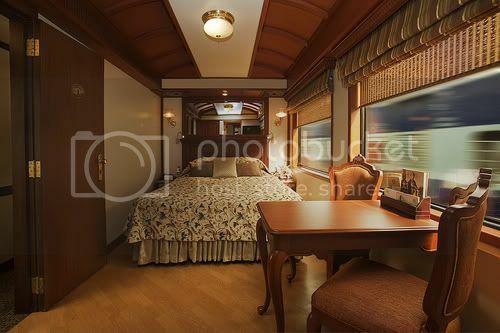 The train has 5 ultra deluxe carriages, 6 junior suite carriages, 2 suite carriages, and 1 presidential suite. It has 2 fine restaurants that serve delicious Indian cuisines for the exclusive royal culinary experience, a bar that serves the best liquors of the world, it is equipped with air conditioning, library, WiFi, high-end boutique and the ethnic decor is out of the world that truly reflects the essence of Indian Royalty. Each cabin has its own personal butler on standby making the Maharaja Express a dream journey like no other. Undoubtedly, the Maharaja’s Express is luxury re-defined on trains. 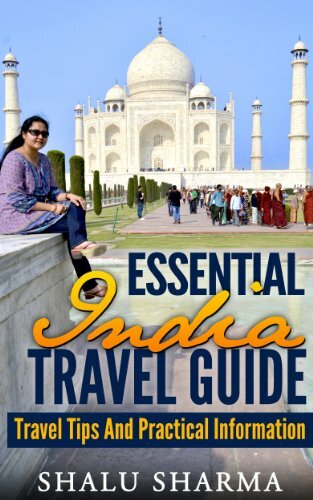 The maharaja express offer 5 pan-Indian journeys; the Indian Panorama, Heritage of India, Indian Splendour, Treasures of India and Gems of India, typically of 4 to 9 days. Its itinerary includes the best destinations of India such Mumbai, Ajanta, Udaipur, Jodhpur, Bikaner, Jaipur, Ranthambore, Fatehpur Sikri and Agra. Maharaja Express is brought to by Indian Railway Catering and Tourism Corporation (IRCTC), a subsidiary of the Indian Railways and Cox and Kings India Ltd that specialises in luxury tours. They have signed a joint venture to set up the “Royale Indian Rail Tours Ltd” that manages the Maharajas’ Express. Tickets can be bought directly from Cox and Kings country specific websites or from individual tour operators. Address : Ground Floor, STC Building (Jawahar Vyapar Bhawan), 1-Tolstoy Marg, New Delhi – 110 001, India. If calling from Mexico: 01-800-681-9386. EEUU: 888-644-1758. If calling from outside the U.S. and Mexico: 1-323-655-1758. Bon Voyage. Enjoy the Maharaja Express. Amazing! But I can only dream of this ..
Hi Puru, dreams often come true you know. Thanks for your comment. Hi Shalu, you have given all the important information regarding Maharaja Express. For future journey, I have to refer this page. Thanks Nandita. 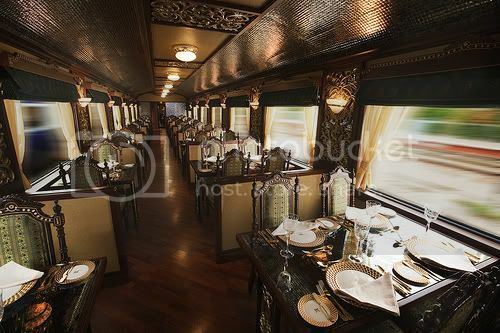 The Maharaja Express is perhaps one of the most luxurious trains of the world. A must travel of both Indians and tourists to India. Thanks for your complements. Thank you Nandita for your comments. 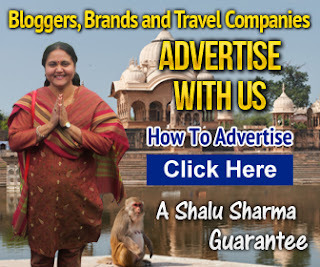 Shalu, the maharaja express is meant either for maharajas, foreigners or NRIs’. We can hardly dream to travel with such luxury! But these pictures are to die for! Thanks Medha but its worth it, every penny. Very beautiful. It took me a few minutes to realize it was a train. Yes its amazing isn’t it. It is actually a train. Pure luxury on wheels. Thank you Saru for your comments. Yes Bhavana, the Maharaja express is something. Maharaja Express train service is very expensive.Only a rich person can afford there expenses.This train service is arranged for high rich families. Although it might be quite expensive, but it’s worth it. The place is such a wonder! Festive Offer for Indian Nationals, Pay for one and your companion pays only 50%. The offer is valid on all the bookings of season 2012-13 done on or before 15th Sep’12. Thanks Nandita. The Maharaja Show is perhaps one of the most magnificent teaches around the globe. 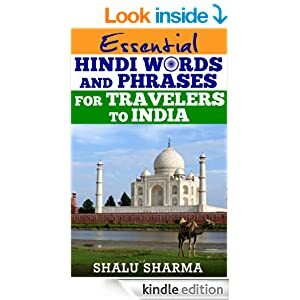 A must journey of both Indians and visitors to Indian. Thanks for your enhances. 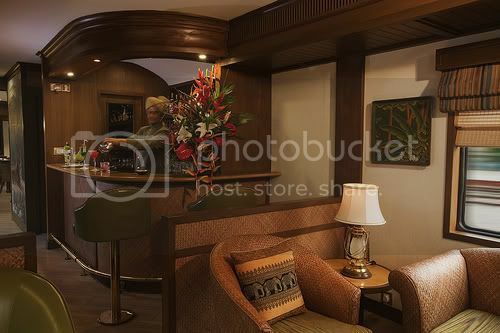 Maharajas Express has been refurbished. Luxury train tours take on a new meaning on the refurbished Maharajas Express. I like this blog and this blog is full of Train Schedule information which is necessary to know for most of all. IRCTC is participating at LUXURY TRAVEL EXCHANGE, Las Vegas, US to show case Maharajas’ Express. 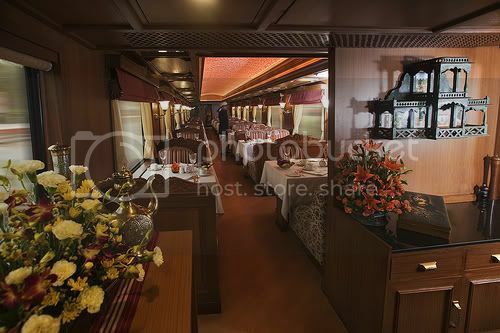 Maharajas’ Express receives World’s Leading Luxury Train Award. WTA award is to the travel industry what an Oscar is to films. 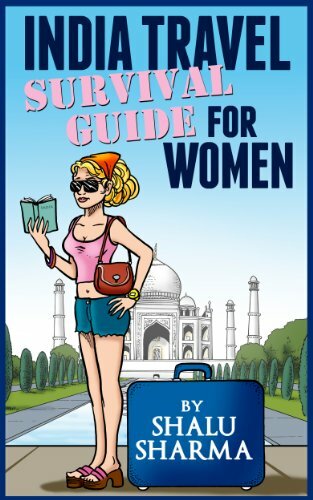 pleae guide me to get it book for my honeymoon. Traveling the key places of India through a luxury train is a rare gem indeed. Looking forward to experience the thrilling and luxurious ride that Maharaja’s Express offers. India, the mystical land with a glorious past, is famous for its versatile cultures, diversity of religions and beliefs, royal charm and unparalleled heritage. A land of varied colors and customs, blended with innumerable fairs and festivals, bountiful nature and untamed wildlife, dotted by royal palaces and majestic forts, India has a lot to offer to tourists from across the globe. Relive the times of the Indian maharajas, and rediscover the charms of enchanting India through the royal train journey of the Maharajas’ Express. Maharajas’ Express, the luxury train of Indian railways, voted the World’s Leading Luxury Train in 2012, showcases the rich culture, history and heritage of India through its five unique tours, spanning the whole of India. You travel through the night to various locations, and have the day to explore and enjoy them. The train was launched in 2010, with new routes and itineraries added in 2012. This is really a nice train, But i think this train is only for rich guys. 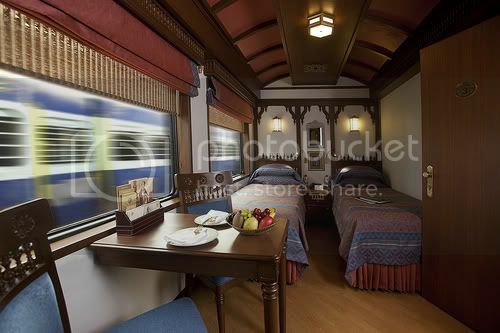 I hope one day i will get a chance to travel in this luxurious train. Although its very costly affair, but lifetime experience i would say, the maharaja express is luxury train of india. The Maharajas’ Express comprises of 23 coaches – five deluxe carriages, six junior suite carriages, two suite carriages, and one presidential suit. The train also has two fine dining restaurants, one bar, and an observation lounge with its own bar, game tables and a comfortable club. The train has a unique and latest suspension system for a seamless ride, individual climate control system in all cabins, environment friendly toilets, and direct telephone from each cabin. All cabins have facilities like WiFi connectivity, TV, DVD Players to keep you entertained and engrossed during the royal journey. Besides safety measures like CCTV cameras and fire alarms, the train offers a 24 hours valet service as well as round the clock paramedic assistance. The Heritage of India Tour, of seven nights, departs Mumbai and travels north through Rajasthan to finish in Delhi, covering Ajanta, Udaipur, Jodhpur, Bikaner, Jaipur, Ranthambore National Park, and Agra/Taj Mahal. The Indian Splendour Tour, departs from Delhi and travels south through Rajasthan to finish in Mumbai, covering Agra, Ranthambore, Jaipur, Bikaner, Jodhpur, Udaipur and Balasinor, in 7 nights. The Treasures of India and Gems of India Tours, run for three nights each, departing from and returning to Delhi, covering India’s famous Golden Triangle, as well as Ranthambore National Park. The tours run from October to April each year, generally with one departure per month. The Maharajas’ Express fares begin from $3580 per person for the three night tours, and range from $6360 for a deluxe cabin to $22000 per person for a presidential suite in the 7 night tours. The tariff includes cost of travel, accommodation, all meals, all house wines, beers and spirits, all sightseeing including entrance fees, guides and tour managers, and all entertainment. Service tax is additional. 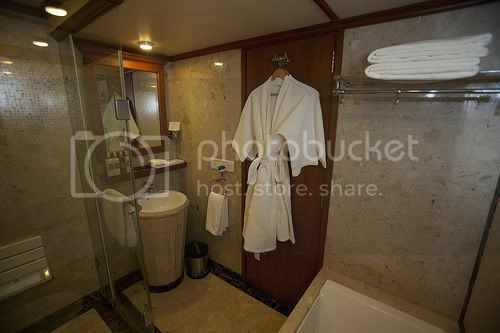 This Indian luxury train is owned & operated by Indian Railway Catering and Tourism Corporation Limited (IRCTC), a public sector enterprise under the Ministry of Railway. IRCTC is the tourism arm of Indian Railways. Wow. The train looks just like a hotel. Just amazing. Great post. This is an amazingly informative post! Thanks; I knew some about India but still learned a lot from this article. Why the prices are shown in USD??? You want only yankees???? I had a wonderful royal journey travelling experience with the maharajas express luxury train. I really felt like maharaja while travelling from delhi to mumbai in this Train. Wow, I’m looking to book a luxury train journey for my wife for her 40th birthday. She is keen on the orient express but after reading this I’m really torn between the two of them. This train looks amazing and I must say I’ve always been impressed with Indian hospitality.